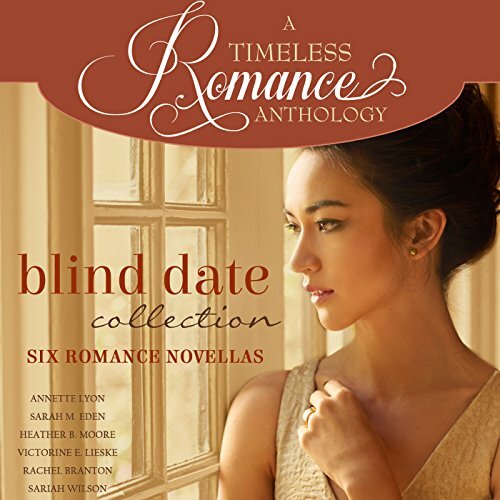 A TIMELESS ROMANCE ANTHOLOGY: BLIND DATE COLLECTION: Featuring New York Times bestselling author Victorine E. Lieske. 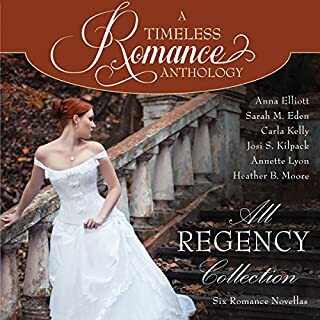 Readers will love this collection of six novellas - three contemporary and three historical - all with one thing in common: Romance. 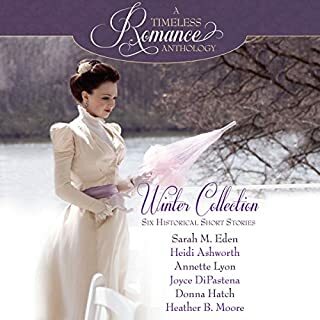 A SECOND CHANCE, by Heather B. Moore: Virginia needs a new start in order to recover from her broken marriage and vicious gossips of her neighborhood in Boston, so when her best friend Millie invites Virginia to Chicago, she goes to live with her friend's family. But when Millie asked Virginia to participate in a double-date, Virginia knows she's not ready to start dating again. Reluctantly she agrees, only to find out that Max might just be the man who can repair the cracks in her heart. BRAELYNN'S BLIND DATE, by Victorine E. Lieske. When Braelynn agrees to go on a blind date, she thinks she's hit the jackpot. Tyler is gorgeous and the perfect gentleman. Of course she should have known it was too good to be true. 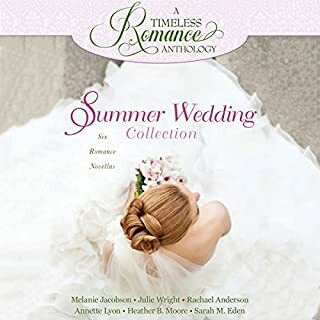 BIANCA'S HOPE, by Rachel Branton: A blind-date-gone-wrong is not the way Bianca would have chosen to celebrate the news that she might be losing her business, but saying no to the sister who took care of her after their mother's death proves impossible. So for one date, one torturous evening, she'll endure the company of an infuriating, heartless man she has no intention of ever seeing again. She doesn't expect her heart to have other plans. 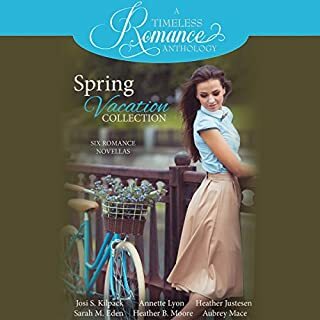 BLIND SPOT, by Sariah Wilson: Ria has prepared most of her life to meet her prince, trouble is, her mother keeps yanking her back to reality. So when Ria reads about a country teeming with princes, she drops everything and applies to grad school. 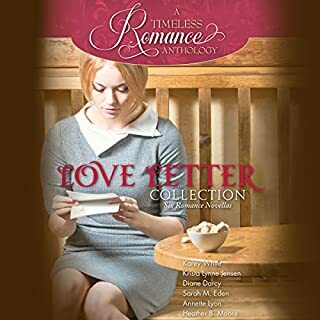 But every blind date goes wrong, and while Ria commiserates with her roommate Tessa and Tessa's totally un-prince-like brother Paolo, Ria discovers that all the things she thought she wanted in a man are far from what she really needs. ©2016 Mirror Press, LLC. (P)2017 Brilliance Publishing, Inc., all rights reserved. very sweet stories that get to the point without all the annoying filler words. the stories are definitely worth the time. I really enjoyed this anthology of novellas centered around the theme of a blind date. There were three historical stories and three contemporary. 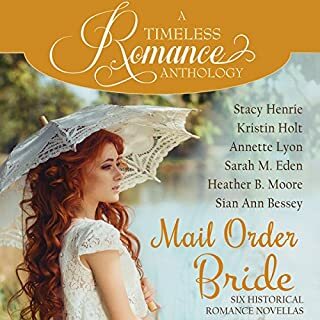 I usually listen and read contemporary romance, so I wasn't sure how I was going to like the historical, but they were all so well done that it sparked my interest in historical again. I loved the contemporary stories as well. Each book held my interest and the narrator did a good job. If you'd like to listen to a collection of books, this is a great one to pick up.